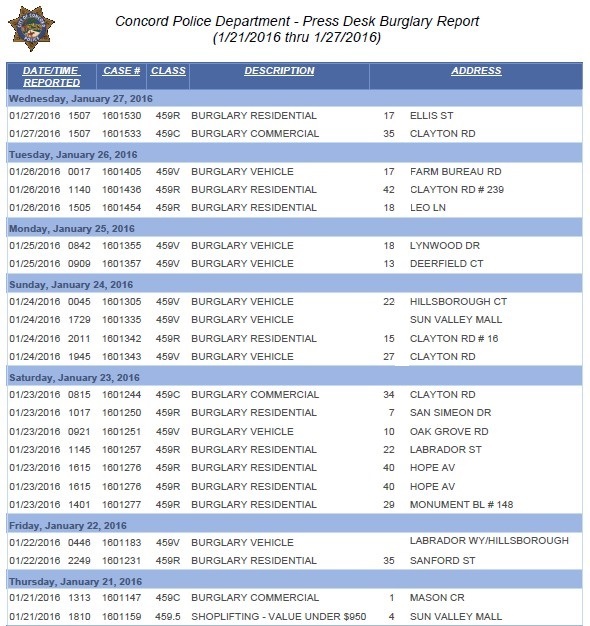 This week, Concord had 22 burglaries. The week before, Concord had 19, and before that, Concord had 23 burglaries. Wonder if the Concord PD has an investigator working on the pay for play scandal unfolding at City Hall. Probably not. 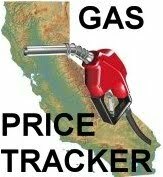 An the downside for a criminal who steals less than $950 of your property is what maybe 10 days in County Jail ? These are the typical out of control numbers of residential robberies that, mind you, there is a handicap of MISSING reports, that Concord City Council has absolutely no time for. What, with all of their backroad dealing (thru should all be indicted, including that crook, former Mayor Grayson) they have no time or money to actually do something to benefit the taxpayers. Remember us? You cheating no good politicians! This report is a disgrace and only exacerbated by the FACT that you are missing robberies. And I know for a fact that a real report exists with all of the robberies – no delay – but that copy is for pay only. A fact. And s big thank you to Noj for putting in the Link to contra Costa bee about the CNWS Concord City Council Scandal (scumbags). Why this did not merit an article, but all of the congressmen’s endless pandering to the masses is published. Why I’ll never know.